Marked the first day of the Cultural Olympiad in celebration of the 2010 Olympics in vancouver. 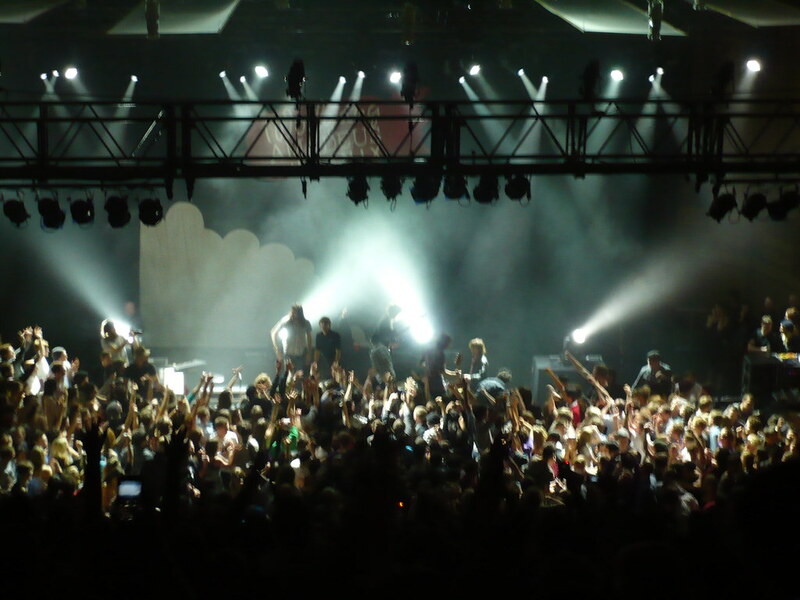 This day also marked Phoenix's first show in Vancouver. The Orpheum Theatre held a sold out show to the European musicians. My body was vibrating with excitement palpable immediately once they took to the stage. I was in the balcony and saw everything from a birds eye view. Amazing. You Say Party! We Say Die! opened for them with a 45 minute set filled with hooky melodies and catchy chorus'. I've been a frequent listener of theirs and was excited to finally see them in a concert setting. Phoenix came on stage to eardrum-erupting of applause. The concert was such a rush I find it hard to summarize the events. Maybe this video of the onstage rush of excitable yet respectable concertgoers in their encore would show you exactly what you missed if you hadn't attended.